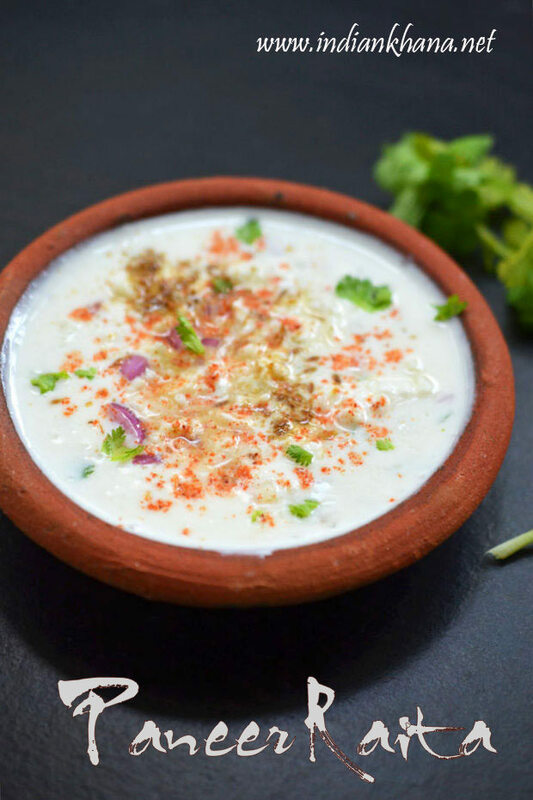 Paneer raita we can make in multiple way and I made this raita in most basic paneer with adding ingredients, there's is one more way of making paneer raita where we cook the paneer with onion and then add to curd it's wonderful too but when in hurry or doesn't wish to do anything elaborate then this raita becomes handy. One pot meal like pulao or biryani and simple raita is great weekend lunch option which I do most of the time. 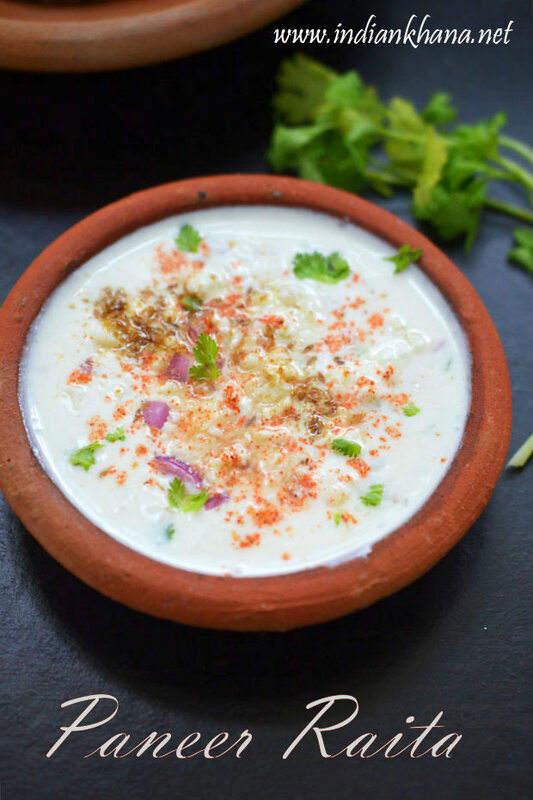 If you are bored of routine raita then this paneer raita can be a great change specially for party or get-together this raita is wonderful to impress guests. I made this for side along with Millet Tomato Pulao, which was spicy and flavorful and along with that spicy pulao this mild paneer raita made excellent combo, I will post the varagu tomato pulao or tomato rice next so stay tune for one more yummy recipe. 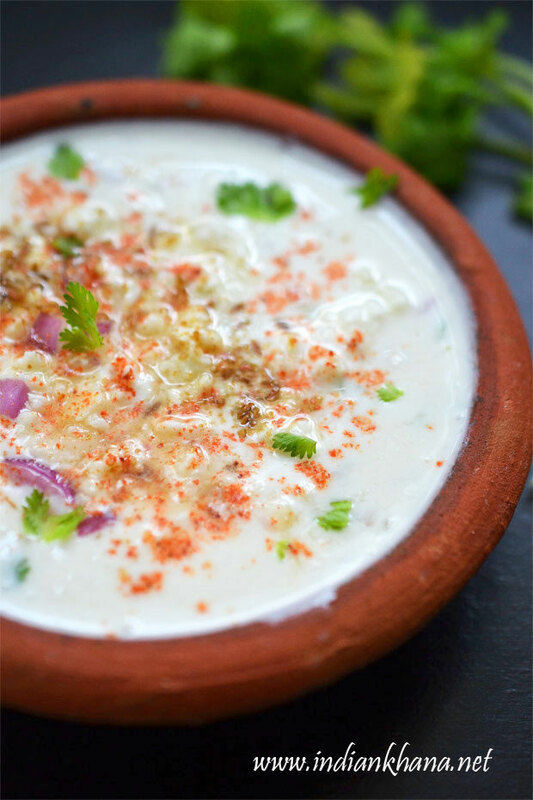 I have added onion in this recipe and if you wish you can skip onion to make this no onion no garlic recipe too or you can add carrot, capsicum etc to bring crunch so it's up to us how we can to customize this simple raita. You can check other paneer recipes here. Easy, refreshing Paneer raita with paneer, onion, green chili and spice. Peel and finely chop onion, green chili, coriander leaves, crumble or grate paneer. If using frozen paneer, thaw it first and then soak in hot water for 10-15 mins before crumbling or grating. 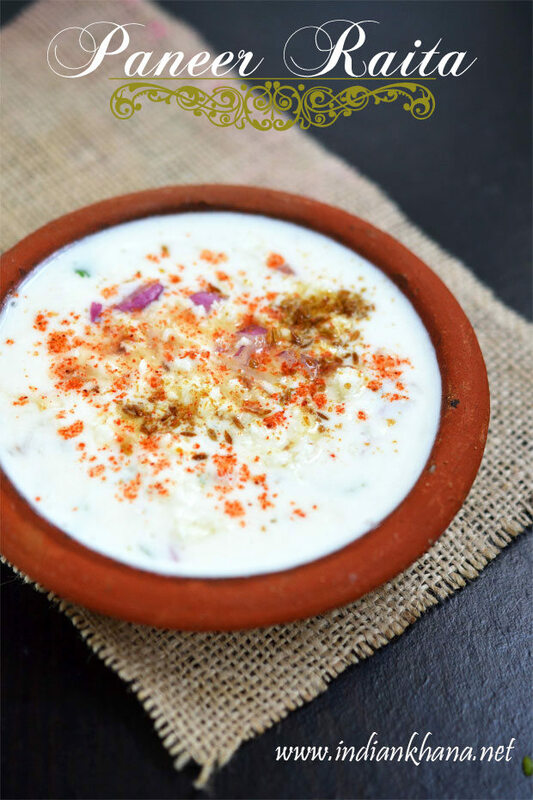 In a bowl beat curd well, add paneer, green chili, onion, rock salt, cumin powder, coriander leaves and mix well. Garnish with some crumble panner, cumin powder, red chili powder and coriander leaves. Serve with any paratha, variety rice, pulao, biryani. You can skip onion and/or add carrot, capsicum or any other vegetable of choice. 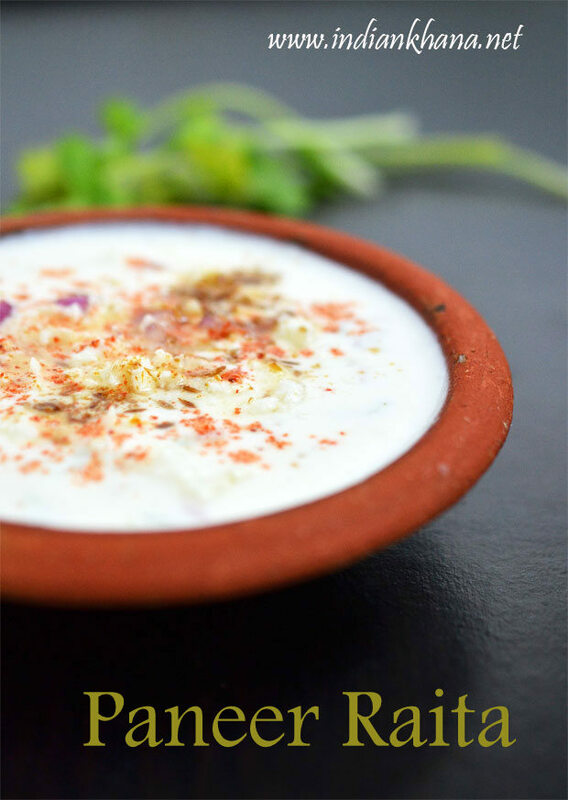 Use fresh curd and not too sour curd to make raita. Try to use fresh paneer, if using frozen thaw paneer and soak in hot water for 10-15 mins so it's doesn't taste dry.